stand-up, writer, actor and leader of the musical comedy group The Kevin Gildeas (one guitarist, one drummer, one clarinet player and one comedian). kevin received development money from RTE television to write an episode and 5 outlines of a show based around his stand-up. He awaits word on shooting the broadcast pilot. later this year Kevin will appear as a regular on the television show Reverb - a look back at '80s music in Ireland. kevin has appeared as both Comedian and Panellist in the innovative live political caberet show - Leviathan. kevin has a regular column in Village magazine and has written for the Irish Times, The Sunday Tribune and Irish Post. kevin is writing a film script with somebody else very good. kevin did some criticing on the TV arts show The View. kevin continues to perform and enjoy his stand-up all over Britain and Ireland. He has performed in Holland, South Africa, Vietnam, Hong Kong, Bangkok, Shanghai, Singapore and Sligo. kevin began in the comedy sketch group Mr. Trellis together with Barry Murphy and Ardal O' Hanlon. They co-founded The Comedy Cellar - Dublin's longest running comedy club. 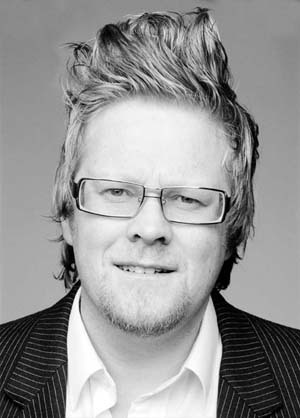 NO NO NO the Kevin Gildeas' short film (written and starring Kevin Gildea) was nominated for an Irish Film and Television Award in October 2003. HAYWIRE a six-part television sketch show for BBC2. (Kevin was one of a team of six writer/performers). THE O'SHOW two series of the popular sketch show for BBC Radio 4 (Kevin was one of a team of seven writer/performers). FR.TED he played Fr. Cave on the plane episode. Alexei Sayle's Merry Go Round bBC TV. (He was one of a team of six writers). DisneyClub (tv) kevin has appearanced as The Bizarreoid, The Imposter, The East End Bunny and Pointy Gildelfi - the naughty elf!